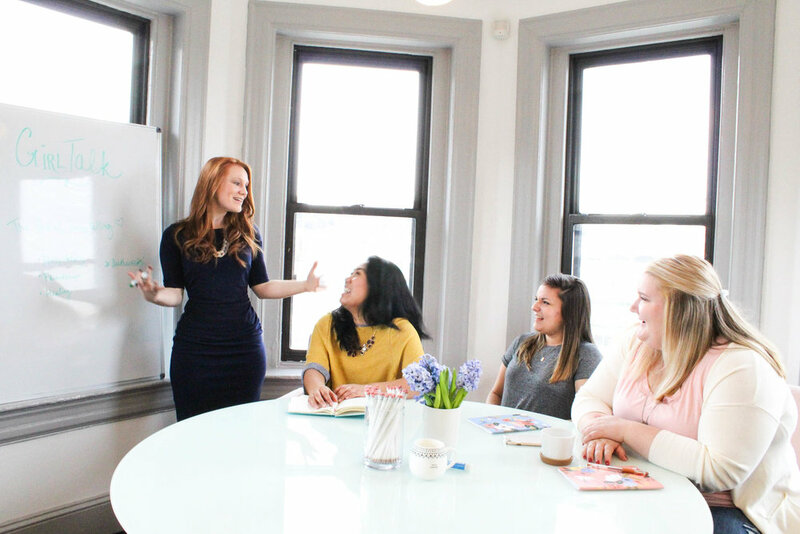 The Girl Talk Institute empowers female college students to embrace their feminine genius and authentically share it with their peers as a Girl Talk Campus Ambassador. Through hospitality, friendship, and storytelling, women are able to experience belonging and the knowledge that they are not alone. We dare each other to go deeper and seek understanding regarding some tough topics such as body image, friendships, relationships, & careers. We reverse the lie that we are insignificant, unimportant, and insecure. Instead, we believe we are enough. We are worthy. We are loved. Come join us in building a sisterhood of self-worth! One-on-one Mentorship: Campus Ambassadors have the opportunity to build a personal relationship with a mentor. Each Campus Ambassador is paired with a Girl Talk Mentor who matches her skills and interests and helps her think through personal and professional goals and plan for Girl Talk Institute events.